Residents living near the Great Ouse in Cambridgeshire are no longer faced with the threat of imminent flooding. The Environment Agency said flooding was now unlikely as peak river levels were lower than in previous incidents. Emergency teams on standby since Monday were told any overflow was expected to be absorbed by flood plains. A police spokesman warned residents and parents to be vigilant: "The river is still dangerous and running very fast. Everyone should stay well away." The Environment Agency is continuing to monitor river levels especially at St Neots, Godmanchester, St Ives and Earith which are still regarded as vulnerable. Residents in other areas which were regarded as "at risk" should also remain vigilant, the police spokesman said. 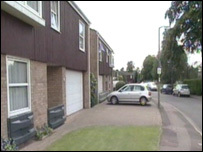 Sandbags issued to homes overnight in the Paddocks residential area in St Neots as a precaution have now been removed. A special plea was made to parents to keep children away from banks where they might be tempted to play during the summer holidays.